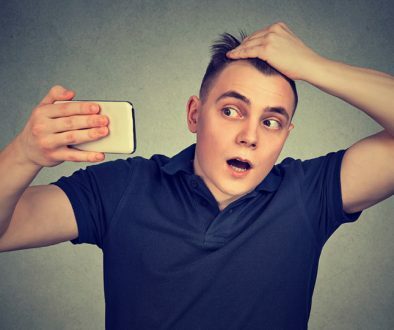 Recommended hair transplant surgeon Dr. Parsa Mohebi of Los Angeles, CA recently introduced a new and one of a kind smart phone application called “Hair Now”. 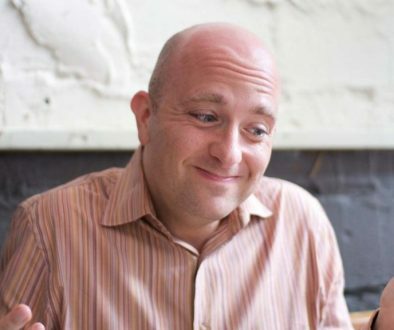 This app allows individuals with varying degrees of hair loss to virtually transform their look by choosing transplanted hair from a selection of hair images. Dr. Mohebi has worked on this application for over a year in order to provide his patients with a tool that educates them about the possibilities of modern hair restoration. This free application is now available for iPhones through iTunes. Once the application is downloaded, the patient is guided to take or upload a picture of head shot. The patient can then select from a wide array of hair samples, taken from Dr. Mohebi’s previous hair transplant patients, to align over their portrait. Each hair sample includes important criteria making the user selection more custom made. The goal for the patient is to find the closest match to their hair loss class and hair characteristic so it perfectly aligns to their scalp shape. After matching it to the desired result, the patient will have the opportunity to save their image onto their iPhone, share the before and after picture with friends or family through Facebook, or send it to the doctor for a free evaluation. The patient can also use the application to schedule a consultation with the doctor, where they will receive a more precise assessment. Dr. Mohebi is planning to add new features to the app in the future in order to accommodate every combination of hair characteristics and hair loss type. He is also considering adding to the doctors who are participating in the app by introducing more before and after pictures from other hair transplant surgeons. 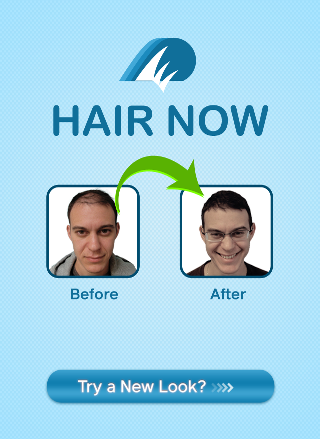 You can now download the app “Hair Now”. Although the app is designed to give the most realistic representation of how a patient would look after a hair transplant, results are not guaranteed, as there are many other subtle variables that influence the final results of hair transplantation. Can I use Rogaine (minoxidil) and Pantogar Hair Loss Pills Together? Is Actor Bradley Cooper Taking Propecia (Finasteride) to Prevent Hair Loss?